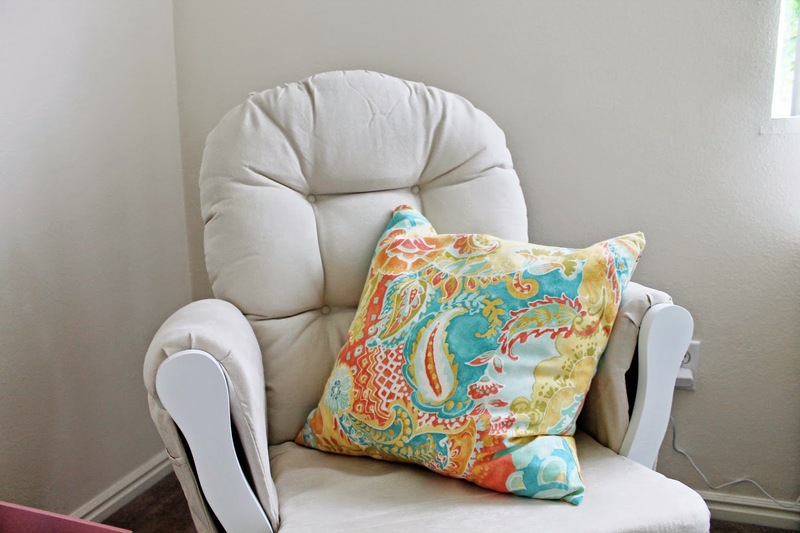 When it came to designing the nursery for baby girl, Sam and I followed a few basic philosophies. First, the reality is that our nursery is a small space. Not only is it small, but it's also our storage room. Hence, we needed a lot of vertical organization. We installed shelves in the closet, which is meticulously organized and holds lots of storage. It was like a giant game of tetris! We had to get a little creative with all our organizing. In fact, true life confession: our printer is currently being stored on a shelf in Jason's bathroom, and we pull it out whenever we need to use it. There was just no other spot for it. We knew we would need to be strategic about our space. Our lack of space works well with our second philosophy, which is that babies don't actually need that much stuff. 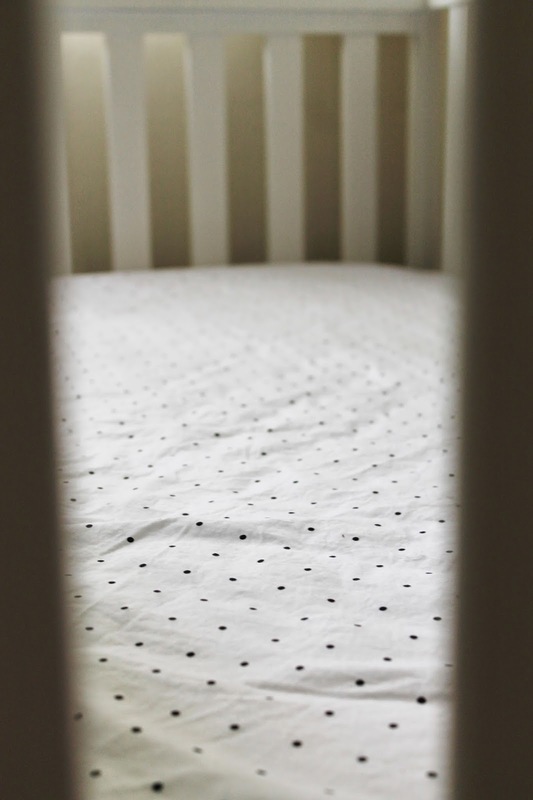 Companies are constantly trying to sell you stuff you don't need, and we feel that our baby will be just as happy without a cappuccino-style bottle mixer, an elaborate changing station, three different types of bouncers, and a ton of toys that newborns can't appreciate yet. 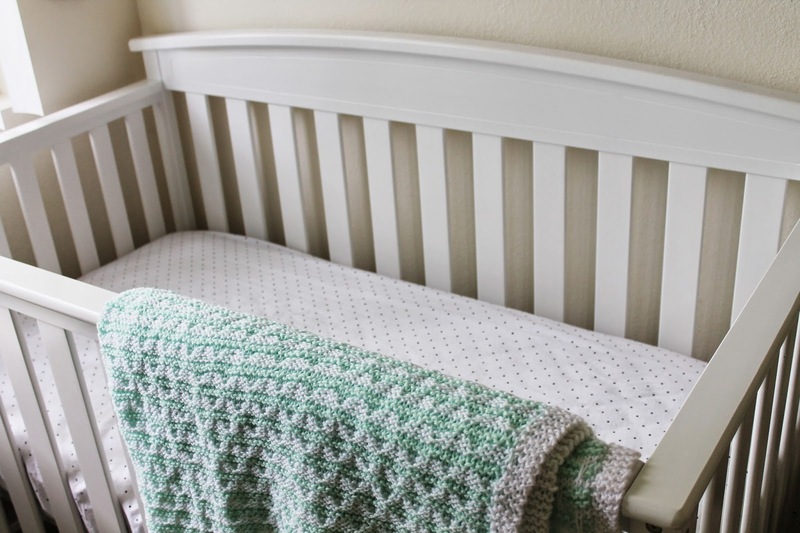 We're minimalists when it comes to baby's nursery - babies don't need that much stuff. 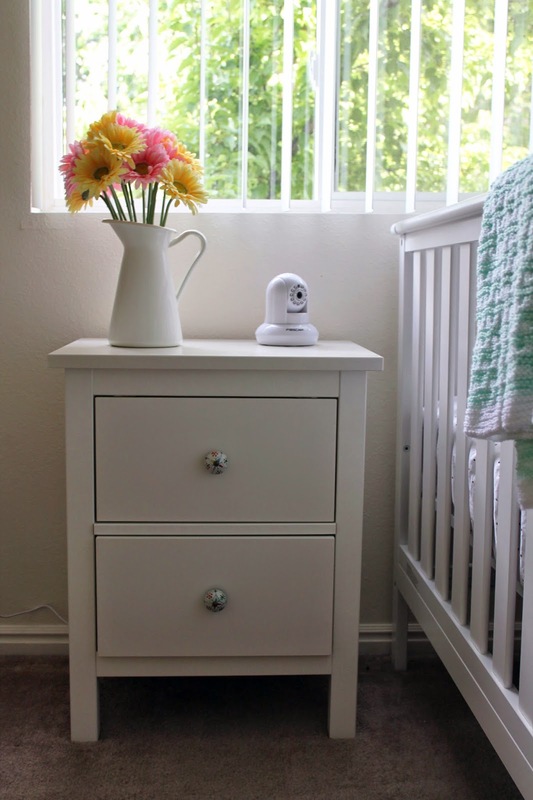 And so, without further ado, here's a little glimpse of our baby's space. I'm still not finished. 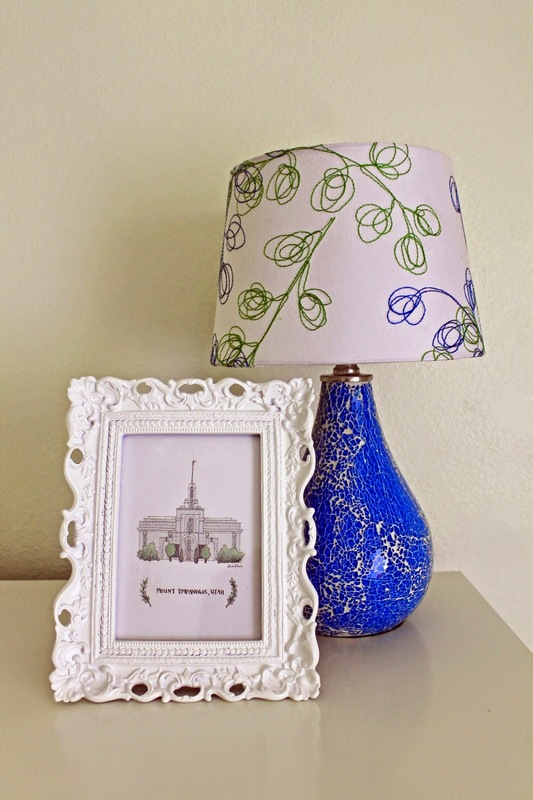 There are some blank walls that I haven't decided how to decorate, and real prints are coming soon to replace the scrapbook paper fillers that are up right now. We hope you like it as much as we do! Bike - rescued from my granny's garbage pile! 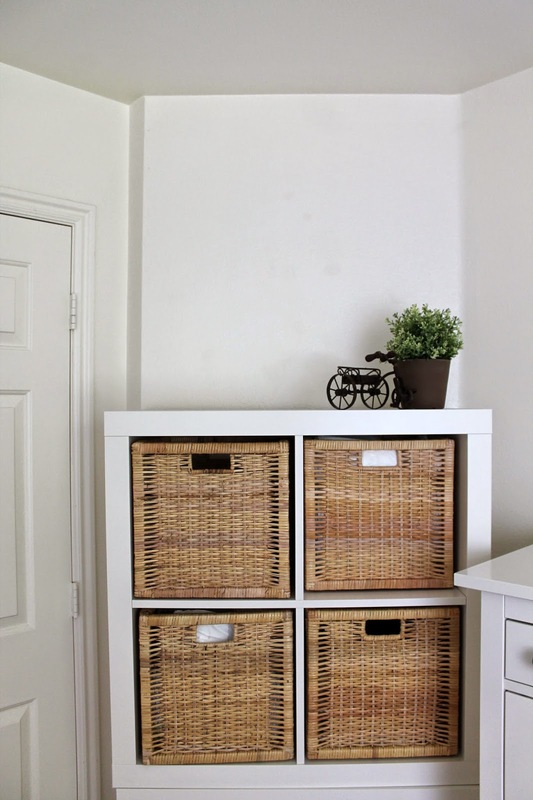 I've been following your blog for a couple of years now and I have to comment to say how great the room looks! 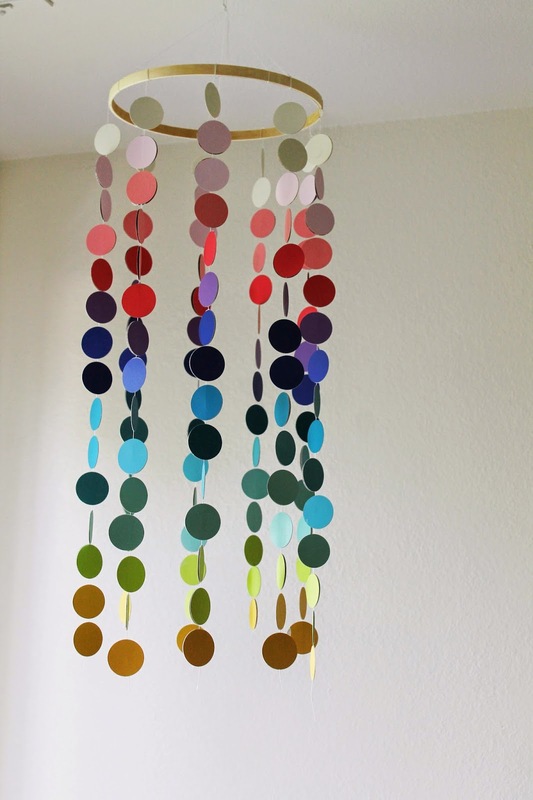 Perfect balance between calming and fun. So excited for you! oh my gosh Brooke, this is seriously the cutest thing. i'm so excited to see all those shoes on her! Nice! 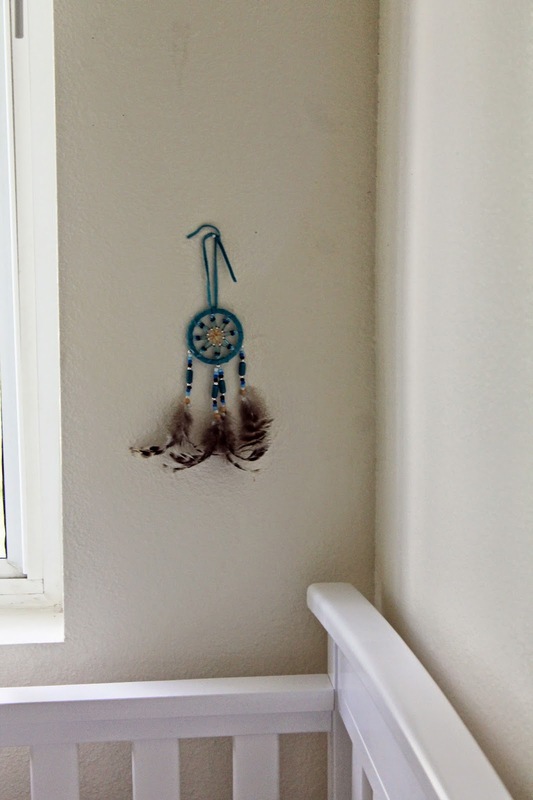 Just to be sure to move the dream-catcher up when she can stand or on day you'll come in to check on her and wonder where she got the bird to eat. Looks perfect! Haha yes seriously. I think a lot of things will change when she gets old enough to move around a lot. 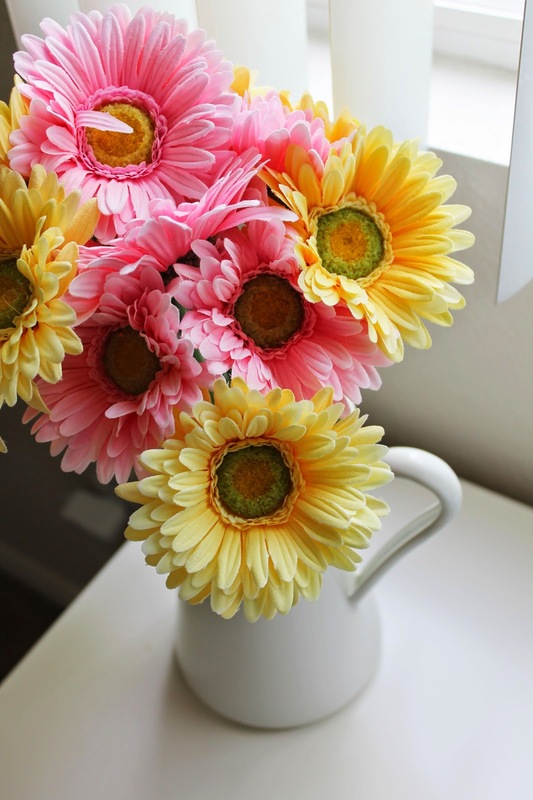 Your nursery is great - it's actually refreshing that you haven't overloaded on pink! 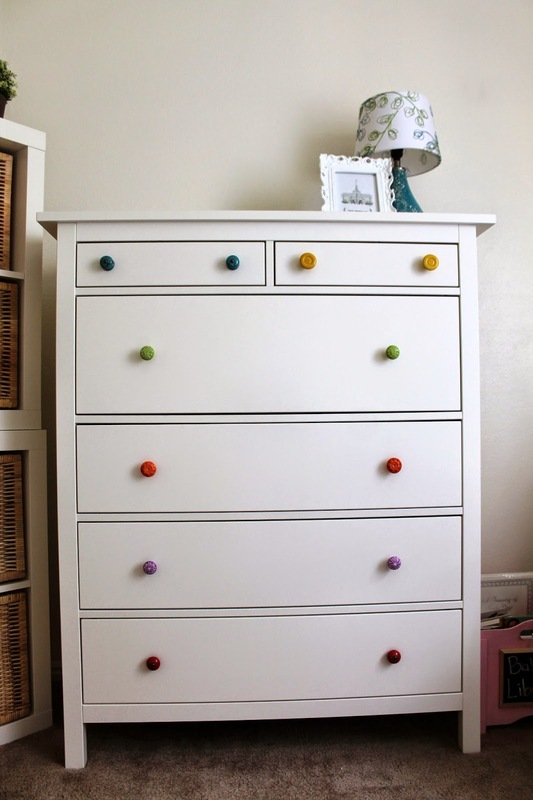 The mulitcoloured dresser drawer knobs are so cute! 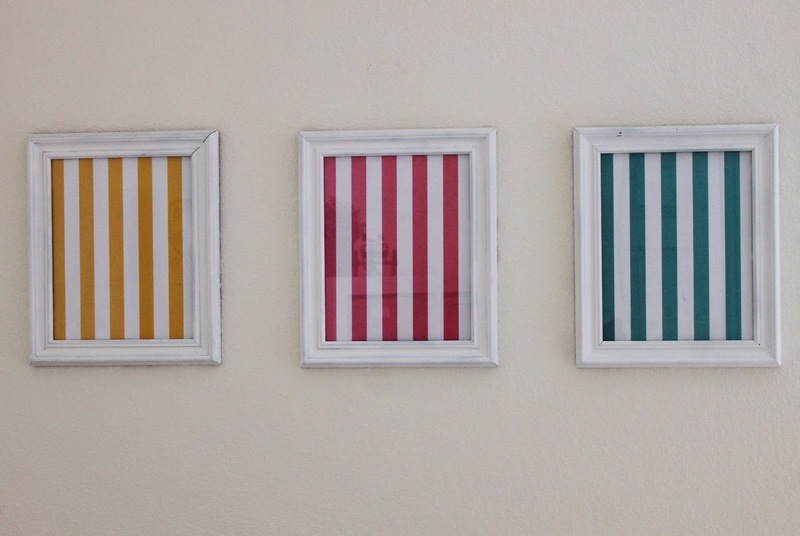 I think you met your aim in decorating the nursery. We have a storage shortage too - clearly I haven't been creative enough! Haha! I wish you all the best for the arrival of your baby. 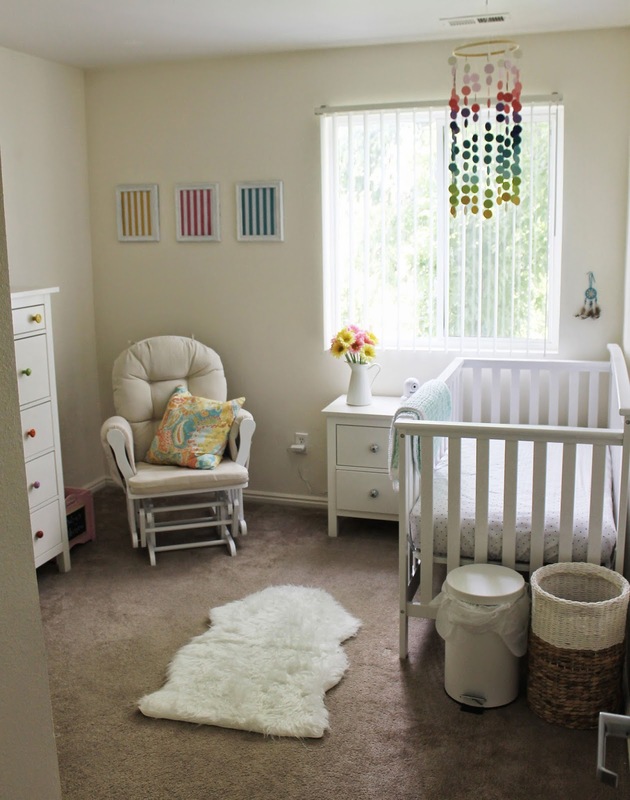 Super cute nursery! And hey! I'll probably be induced by next Friday as well! That's exciting! You'll have your baby before me! Why are you being induced early? 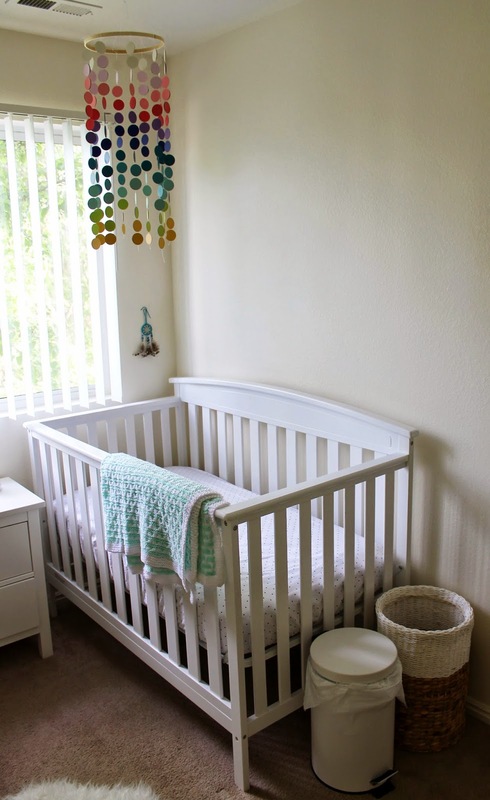 Her nursery is absolutely gorgeous! I can't wait to see pictures of your sweet baby girl in it! I'm so so excited for you!